Effects of global warming on countries of Africa and the Caribbean click here. CACCI at Medgar Evers College click here. "Unity is strength." Audio interview with son of Haiti, Yves Rene, who created the Caribbean Unity Flag click here. The Caribbean Community Climate Change Centre (â€œthe Centre) has RE-ISSUED the Invitation for electronic bids for the: â€œSupply and Delivery of One (1) Right-Hand Drive Electric Bus, Two (2) Charging Stations and Related Services for the Federation of Saint Kitts & Nevisâ€�. Bidding Documents: Invitation to Bid Bidding Documents Bids must be submitted on or before 2:00 p.m. (GMT- 6) on Thursday April 25th 2019. 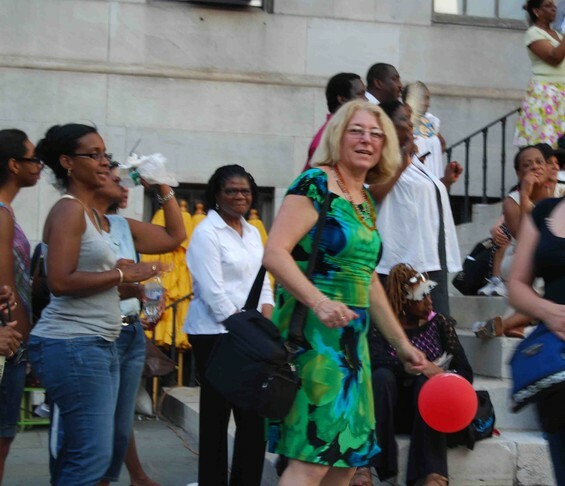 CACCI celebrates Caribbean Heritage Month in Brooklyn, 2012. Above, at Medger Evers College, below, at Brooklyn Borough Hall.